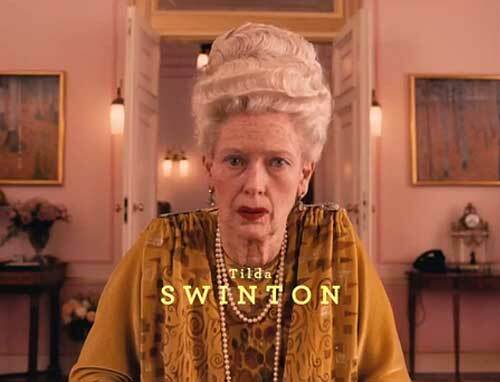 Tilda Swinton in a scene from "The Grand Budapest Hotel". MPAA: USA - Rated R for language, some sexual content and violence. See IMDP Parental Guide for more info. The Grand Budapest Hotel is a film directed by Wes Anderson. It is set in the 1930s in Zubrowka - a fictional mountainous country of Central Europe. The film's story has the magical make-belief qualities of an operetta - flamboyant characters in flamboyant costumes, fairytale scenery, and improbable plot. That plot concerns a stolen masterpiece and a contested inheritance. The plot is simple, but it gives free rein to Anderson's exceptional creativity and allows the many stars to exhibit their full range of talents. The film has more big-name actors than most - at least twenty are household names. 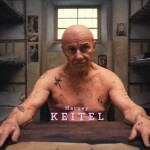 They include Ralph Fiennes, Jude Law, F. Murray Abraham, Willem Dafoe, Adrien Brody, Jeff Goldblum, Harvey Keitel, Edward Norton, and Tilda Swinton. Surprisingly, they all work well together and contribute to the film's spectacle and enjoyment. For the audience, part of that enjoyment is peeling away layers of marvelous makeup to see if they recognize the big star behind it. 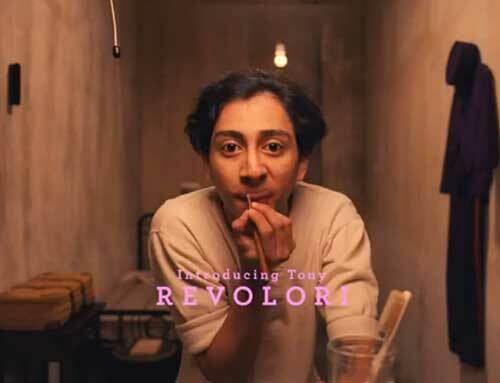 Tony Revolori in a scene from "The Grand Budapest Hotel". Having a large number of famous actors in a film is risky and is no guarantee of box office or critical success. Too many stars can distract from each other's performances and muddle the storyline. Yet this film succeeds because it has a simple, gripping narrative and exceptional directing. As writer and director, Wes Anderson is responsible for both, but also for the overall production. 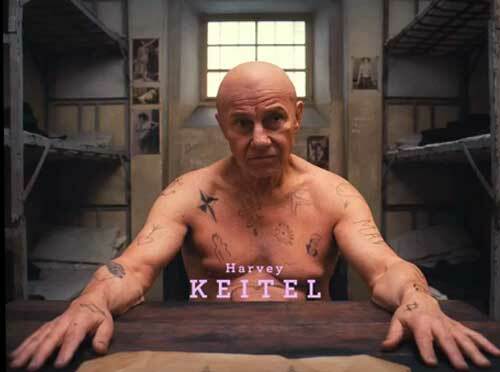 Because of Anderson, The Grand Budapest Hotel would probably have succeeded even if all the principal players were unknown. All the film's sets are lavish mini-productions in themselves. They are built with meticulous attention to detail. The main set of the hotel, for example, is like an exquisite doll's house designed for a finicky fairytale princess used to nothing but the best. It's obvious that each prop is carefully conceived, created by master artists, and delicately placed in the perfect position. The acting is superb. Not a word is out of place, and each gesture and facial expression carefully thought out. This attention to detail extends to the secondary characters. An example is the elevator operator - a solemn looking youth, whose eye movements mirror the elevator's direction of travel, as if to say "going up," while also showing a profound indifference to the passengers and their problems. This film is all about spectacle and while other films might collapse under the weight of such a flamboyant production, The Grand Budapest Hotel thrives. The movie is a rare gem. Few people will leave the theater without feeling they have been marvelously entertained; that they have experienced something they probably never experienced before and may not experience again for years. This is a quirky comedy/drama of astonishing visual and narrative style typical of Wes Anderson. As original and first-rate as all his previous films are, The Grand Budapest Hotel surpasses them all.